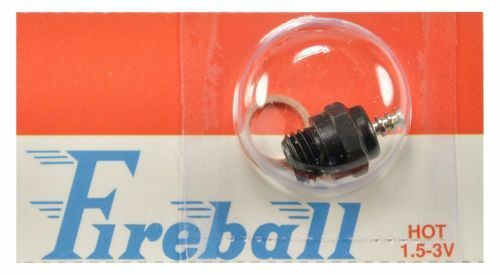 The Fireball Hot -1.2-3 volts. For fast starts in any weather, especially winter. This antiflood plug has good idle characteristics. Excellent for RC/FF. Perk up those fired mills. In both long and short reach. Color coded with red Insulator.